Xiaomi Redmi Y2 has been launched in India. This is an upgraded upgrade to the Safi smartphone Redmi Y1, launched by Shawmi last year. Radmi Y2 was presented at an event held in New Delhi. Talking about the key features of smartphones, it comes with the AI ​​powered 16-megapixel selfie camera, face unlock and 18: 9 display. 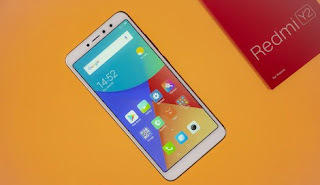 Let it be said that it matches a lot in terms of design and specification from the Redmi S2 launched in China, in a way, the Indian avatar is the same. Redmi Y2 will be made available in Dark Gray, Rose Gold and Gold color. It is the third smartphone of the company's selfie-centric Redmi Y series. Redmi Y1 and Redmi Y1 Lite of Redmi Y series were launched in India last year. The price of Redmi Y2 in the market will start from Rs 9,999. There will be a variant of 3 GB RAM and 32 GB storage at this price. Apart from this, the phone has a variant of 4 GB RAM and 64 GB storage, which is worth Rs. 12,999. The smartphone will sell exclusively on Amazon India. It will also be available on Shaomi's own website. The first cell phone of the smartphone will be held on June 12. It has been informed that a phone cover will also be provided in the retail box of the phone. Now get the talk launch offer. In order to buy Radmi Y2 in the first cell, the ICICI Bank will get an instant discount of 500 rupees for using a credit or debit card. Redmi is giving an instant cashback of Rs 1,800 to Airbus to Y2 buyers. Apart from this, 240 GB data is also being provided free of cost. Dual SIM Redmi Y2 Out of Box will run on the MUI 9.5 based on Android Orio. It has 5.99 inches HD + (720x1440 pixels) display, which is 18: 9 aspect ratio. Its pixel density is 269 pixels per inch. The smartphone has the Adreno 506 GPU with the Octa-Core Qualcomm Snapdragon 625 processor. Talking about camera setup, the Redmi Y2 has a dual rear camera setup in vertical style on the last part. The primary sensor is 12 megapixels and the secondary camera is 5 megapixels. The front panel has a 16 megapixel selfie super pixel sensor which comes with LED Selfie-Light, AI Beauty 4.0 and Face Unlock Capability. There are two variants of inbuilt storage - 32 GB or 64 GB. Both variants will support microSD card. The battery is of 3080 mAh. About this, battery life has been claimed throughout the day. 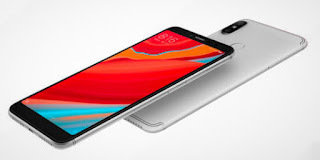 Xiaomi Redmi Y2's connectivity features include 4G VoLTE, Bluetooth 4.2, GPS / A-GPS, Wi-Fi 802.11b / g / n, 3.5mm headphone jacks and micro-USB 2.0. Accelerometer, ambient light sensor, digital compass, fingerprint sensor, gyroscope, infrared and proximity sensors are part of this phone. Dimension of redmi Y2 is 160.73x77.26x8.1 millimeters and weighing 170 grams..!! !